Did you know that breakfast can play an important role to prevent diabetes? Let’s find out how and what kind of breakfast options can reduce the risk of type 2 diabetes. The 3 portion rule: Try to divide your breakfast into 3 portions. Your breakfast must contain 1/3rd of protein rich foods, 1/3rd of fiber rich carbohydrate foods and 1/3rd of fresh fruits or vegetables. Protein rich foods: Eggs, low-fat milk, beans and lentils, low-fat yoghurt, etc. come under this category. They are low in saturated fat and help in strengthening your bones and muscles to give you the energy to kick start the morning. Unlike a sugar rush, the energy obtained from proteins is not only long lasting but also anti-diabetic. Certain protein foods like salmon and other sea fish are rich in Omega 3 fats, which are good for the heart. 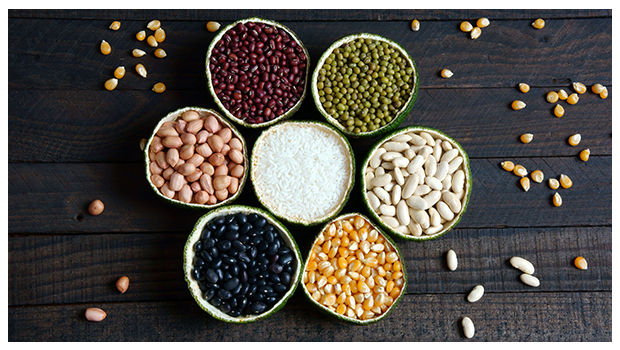 Fiber rich carbohydrate foods: These foods are essential to prevent diabetes as they have a low glycemic index. This means that these foods take time to digest. The body converts the carbohydrates into glucose or sugar (energy) slowly. The slower the conversion process, the lower the rise of your blood sugar. That is why switch your refined flour (maida) bread with whole grain breads. Secondly, since whole grains help you feel full for a comparatively longer time, they aid in controlling your cravings for unhealthy processed snacks. Fresh fruits and vegetables: Most fresh fruits have natural sugars to energize you. This prevents your need for processed sugars. Moreover, fruits and vegetables are a good for bowel movement which in turn helps to keep obesity (major diabetes risk factor) at bay. Apples contain an element called quercetin which is said to promote the proper functioning of insulin – the hormone that regulates the sugar content in the blood. Flaxseeds and pumpkin seeds: sprinkling a good amount of these seeds over your morning meal can do wonders. They not only add a nutty flavour to your breakfast, but also add to the protein and omega 3 fatty content of your food. What’s good for the heart surely helps in keeping diabetes at bay. Chia seeds too can be indulged in. Oatmeal: It is said that having a bowl of oatmeal (instead of other cereals) for at least 5 days a week can bring down your risk of diabetes by 35% to 39%. This is because of its high fiber content. To enhance your efforts to prevent diabetes, choose organic foods. They are not only free from harmful chemicals but also retain natural nutrients in their most original form. For the best of organic foods, visit India’s best – 24 Mantra Organic.